BC’s Premier celebrates the Catalyst Paper purchase by Paper Excellence and their unconditional guarantee of existing pensions. 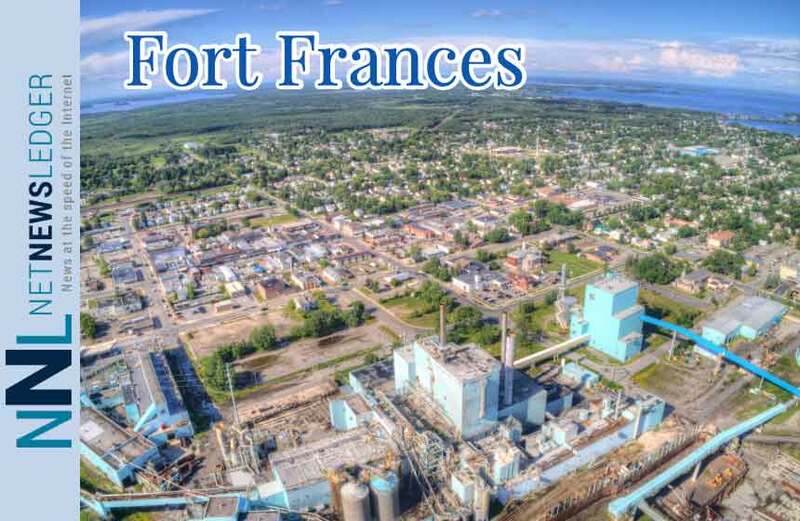 Elsewhere, Fort Frances, Ontario is profoundly disappointed with Resolute’s rejection of Repap’s offer, while the local MPP remains optimistic the mill is viable. In other Business news, Canada’s resource sector applauds the federal budget’s forest product focus—notably FPAC, FPInnovations and Ontario MP Rusnak. In Forestry news: BC ups its wildfire budget and prepares new strategies as a dry spring unfolds; Washington and Oregon identify communities most threatened by wildfire; and California redeploys Trump’s National Guard to the fire lines. Finally, the Green Building Council is piloting a ‘timber traceability‘ LEED credit; and Greenpeace pans Ontario’s endangered species review. Montreal – FPInnovations’ President and CEO Stéphane Renou, today welcomed Finance Minister Bill Morneau’s commitment to continue investing in the competitiveness of the Canadian forest industry by allocating $251.3-million over three years beginning in 2020-21 to encourage the forest sector to continue growing and develop new technologies. In his budget, Minister Morneau announced that the funds will extend existing innovation, markets, and product diversification programs. More specifically, Minister Morneau announced $91.8-million for the Forest Innovation Program covering the same time frame. 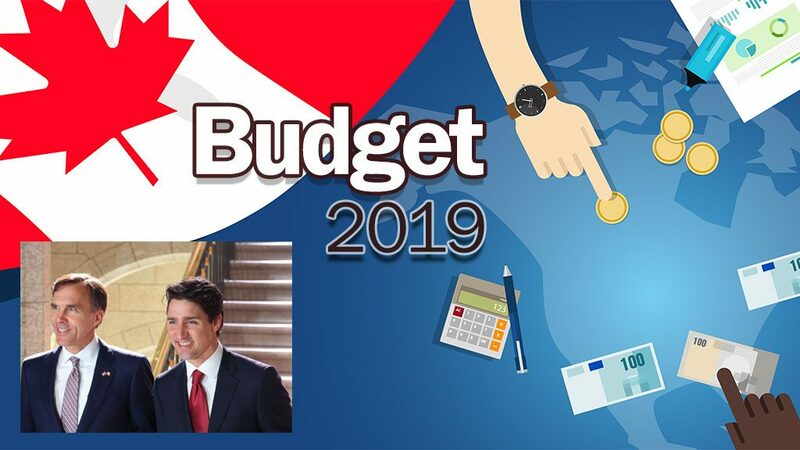 OTTAWA – While pharmacare, housing and skills training took top billing, the 2019 federal budget also focused on western Canadian resource development and the move to a green economy. …The budget proposes an investment of $251.3 million over three years to NRCan starting in 2020-2021 to extend existing innovation and diversification programs for the forestry sector. The investments would include up to $91.8 million over three years for the Forest Innovation Program supporting pre-commercial research and development and up to $82.9 million for the Investments in Forest Industry Transformation program, to support industrial commercialization and innovation in technology and processes. Up to $64 million is proposed for the Expanding Market Opportunities program, which is designed to increase and diversify market opportunity for Canadian forest products in offshore markets and expand wood use in non-residential and mid-rise construction within and outside of Canada. A total of $12.6 million would go to the Indigenous Forestry Initiative which supports forest-based economic development. An application for a permit amendment for Pinnacle Pellet will be the subject of an upcoming open house in Williams Lake. Rose Loerke, project leader at Pinnacle Renewable Energy Inc., is inviting the community to the event coming up March 28 …to share details of proposed upgrades to the Williams Lake plant, listen to members of the community and to have questions answered. “We’re looking at proposing an upgrade to the Williams Lake facility to improve our flexibility to process a variety of different fibre,” Loerke said. “We are requesting to add another dryer so we have the ability to process that fibre. Right now we’re a little bit constrained.” When asked if the upgrade would impact air quality, Loerke said that is a hard question to answer because the air dispersion modeling doesn’t take into consideration the amount of bush residuals which will be used by Pinnacle Pellet rather than burned in the cutblocks. 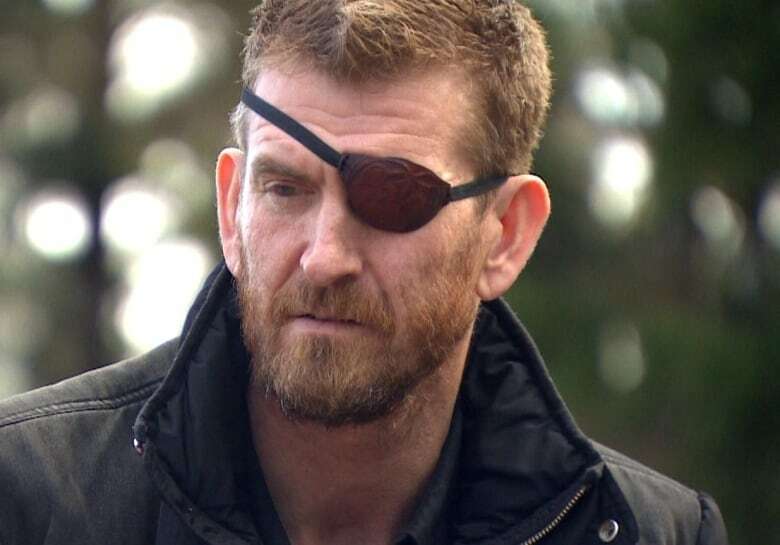 On Haida Gwaii, signs of reconciliation can be as small as the Indigenous artwork seen on [Queen Charlotte Village Mayor] Kris Olsen’s eyepatch. …It was nine years ago that its name changed under the Haida Gwaii Reconciliation Act, capping off a series of agreements and pieces of legislation that made reconciliation a political part of life, well before the vast majority of B.C. …the biggest piece of advice Olsen and other local politicians have is the work of reconciliation continues long after the ceremonies are scheduled and the framework put in place. …Jaalen Edenshaw was the lead carver of the Gwaii Haanas Legacy Pole… He believes one of the biggest steps taken by local governments was by Port Clements in 2004, when it took intervenor status on a forestry-related lawsuit that established guidelines around consulting Indgenous communities before developing or exploiting lands. Premier John Horgan celebrated the sale of Catalyst Paper this week at the Crofton mill, but the government quietly retreated from a stand it took last summer to protect pensioners, in order to see the deal concluded. …The company was selling U.S. assets at the time, and the fear was it would break up B.C. operations and sell them piecemeal. In response, the government drafted a quick amendment to the pension regulations… required that if any or all of the three coastal mills… were sold or closed, the company would have to fund its outstanding pension obligations “immediately.” …But the pension shortfall remains outstanding, because the deal was exempted from the July regulation. …The premier’s office said Tuesday that Paper Excellence has unconditionally guaranteed the pensions. Catalyst will continue to make pension payments, and Paper Excellence has guaranteed it will step in if Catalyst is unable. The addition of Catalyst Paper to the company puts the “paper” in Paper Excellence Canada, said PEP CEO Brian Baarda. Baarda was joined by B.C. Premier John Horgan, North Cowichan Mayor Al Siebring, MLA Doug Routley… to celebrate the completion of the deal that adds Catalyst Paper’s Crofton mill, as well as its two mills in Port Alberni and Powell River, to PEC’s’s assets. Horgan said… “Last year, we stepped up to protect pensions for Catalyst employees and stood up against unfair U.S. trade tariffs because when forestry is successful, B.C. is successful,” Horgan said. …The B.C.-based Paper Excellence, which had five operating mills in Canada and two mills in France before its acquisition of Catalyst Paper and its three mills, has quickly grown to be one of the largest pulp producers in North America. OTTAWA – “The 2019 Federal Budget is good news for Northwestern Ontario”, according to Don Rusnak, Member of Parliament for Thunder Bay-Rainy River. 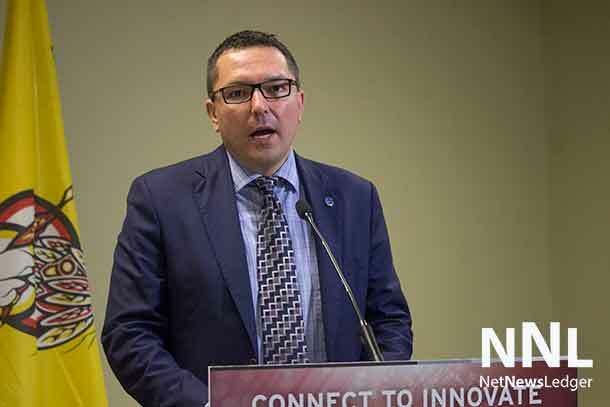 …Rusnak also highlighted Budget 2019’s commitment to supporting Northwestern Ontario farmers and forestry workers. …For forestry workers, they will be helped by the investment of $251.3 million over 3 years to support existing forestry innovation and diversification programs, including the Forest Innovation Fund and the Indigenous Forestry Initiative. Rusnak believes both these investments are critical for the growth of two of Northwestern Ontario’s most important economic sectors. Today, Forests Ontario released The Economic Value of Tree Planting in Southern Ontario, a new report by Guelph-based consulting firm Green Analytics. Committed to re-greening Ontario through tree planting, education and awareness efforts, Forests Ontario is the not-for-profit charity that delivers the Government of Ontario’s 50 Million Tree Program (50MTP). 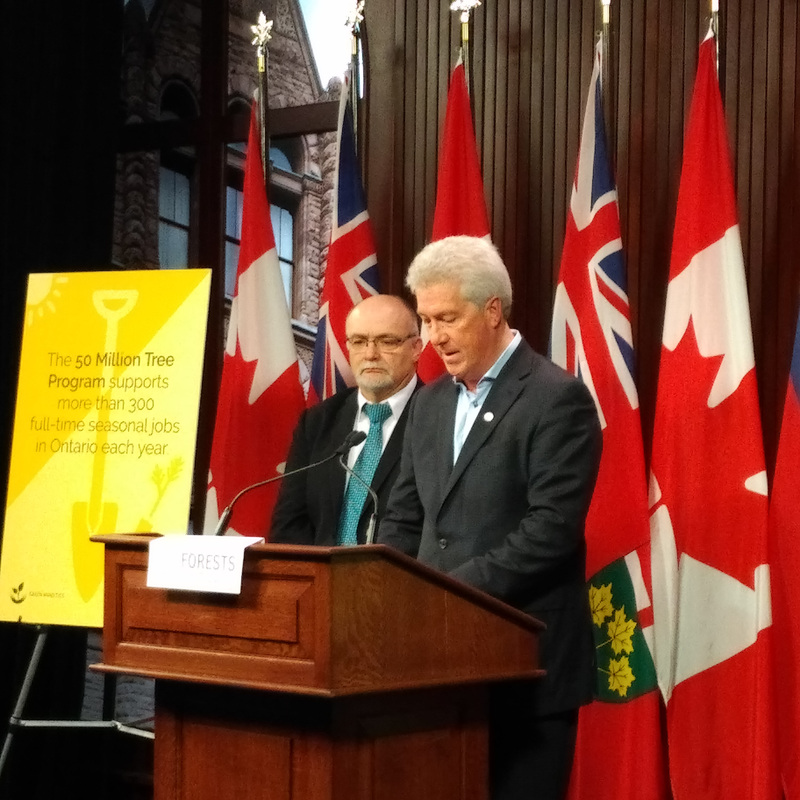 At the Ontario Legislature, Rob Keen, Registered Professional Forester and Forests Ontario CEO along with Peter Emon, long standing County of Renfrew Councilor and Reeve of Renfrew, described how the province has benefited from ten planting seasons of the 50MTP. Since 2008, the Program has facilitated the planting of more than 24 million trees over 14,800 hectares, an area equivalent to one-quarter the size of Lake Simcoe. These plantings sequester 19,000 tonnes of carbon each year – the same amount of carbon emitted from driving more than 80 million kilometres. THUNDER BAY — A group of Thunder Bay residents believes the shuttered Ontario Power Generation plant on Mission Island holds the potential to generate hundreds of new jobs. The members of the volunteer group have developed a plan to repurpose the station as a combined heat and power plant, creating spinoff jobs in greenhouse operations and the manufacturing of residential and industrial wood pellets. …McLeod’s group, however, feels… “The proposal is for a combined heat and power station that would be central to supporting a bio reactor, bio refinery, merchandising yard, greenhouses for locally grown food, [Resolute] paper and kraft mill, Confederation College’s education biomass program, city sewer, city recycle and city water facility while enhancing and supporting the forest industry to produce biomass white (residential) and black advanced (industrial) wood pellets”. 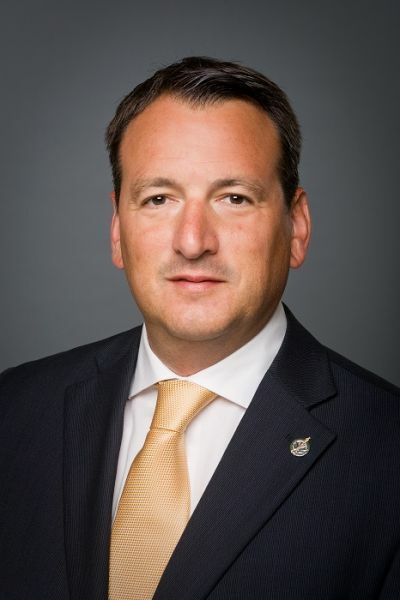 FORT FRANCES, ON — The MPP for Kenora-Rainy River, Greg Rickford, says he feels there’s still a chance to re-start the Fort Frances pulp and paper mill under new ownership. Rickford posted his reaction on social media Monday, after Resolute Forest Products announced it had rejected a bid by Repap Resources to buy the idled mill. Resolute stated that Repap’s proposal fell short of what was needed: They failed to provide the required financial deposit, did not mark up the asset purchase agreement, did not address our key requirement to perform environmental remediation, and did not produce sufficient, committed financing to move forward. In addition, their refusal to agree to treat Resolute’s information on a confidential basis prevented them from accessing sufficient information to inform their bid and put forward a responsive offer. Local and provincial politicians say they’re disappointed that a deal that promised to reopen the shuttered paper mill in Fort Frances, Ont., fell through and that the company that owns the site appears to be focussed on demolishing the plant. Resolute Forest Products informed municipal leaders in Fort Frances on Monday that it rejected a bid submitted by Repap Resources Group. Repap had said it would reopen the mill, which has been idle since 2014, if it could acquire it, and said between 600 and 700 jobs would be created. …”We’re not necessarily surprised by this outcome — Resolute has certainly reflected a disinclination … to sell the property to a buyer that would operate it,” Coun. Douglas Judson told CBC News. FORT FRANCES – The Town of Fort Frances is profoundly disappointed and disillusioned by the announcement yesterday by Resolute that they will not entertain the offer to Rainy River Packaging Inc. (formerly Repap LLC). We remain committed to attempting to transition the mill to an operational entity and will work with all parties toward that goal. We have met with Rainy River Packaging Inc. and Minister Rickford and will reach out to both the potential buyer and to Resolute to enter into discussions to continue our mission to broker a deal. …The Town is preparing for all eventualities for the future of the mill property but continues to work toward an operational future for this key economic asset. QUÉBEC – The Québec City Convention Centre, in collaboration with the City of Québec, is pleased to announce that the second World Congress on Mid- and High-rise Wood Buildings will be held in Québec City in the fall of 2019. From September 30 to October 4, Woodrise 2019 will bring together wood construction stakeholders, decision-makers, and professionals to share their knowledge and strengths in order to position wood as a leading construction material for tomorrow’s sustainable cities. …The event is expected to attract over 1,000 international attendees, including some 20 delegations. …The theme for Woodrise 2019 is “Building our cities for future generations” and has been jointly organized by FPInnovations and Institut technologique FCBA (France). Langley is set to become the home of the Fraser Valley’s first ever residential mass timber development. Legacy on Park Avenue is the first six storey mid-rise project in the Fraser Valley that uses mass timber in the form of Cross Laminated Timber. The Canadian Wood Council has confirmed this is also the very first application in Canada for a CLT Firewall. The project at 204 St. and Park Avenue includes 69 two and three-bedroom condominiums. Construction is underway with completion slated for July 2020. 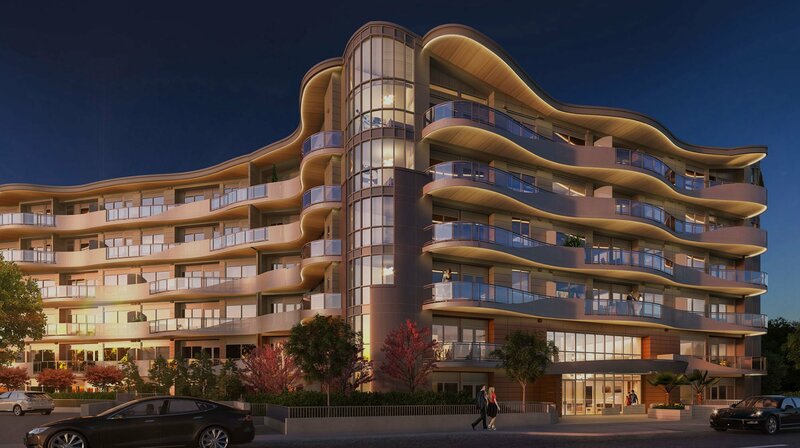 Built by MDM Construction, the project showcases a unique architectural design made possible by the CLT panels… curved balconies. Washington, DC – The U.S. Green Building Council announced a new LEED pilot credit designed to increase transparency in timber supply chains and reduce the risk of illegally harvested wood entering the buildings industry supply chain. 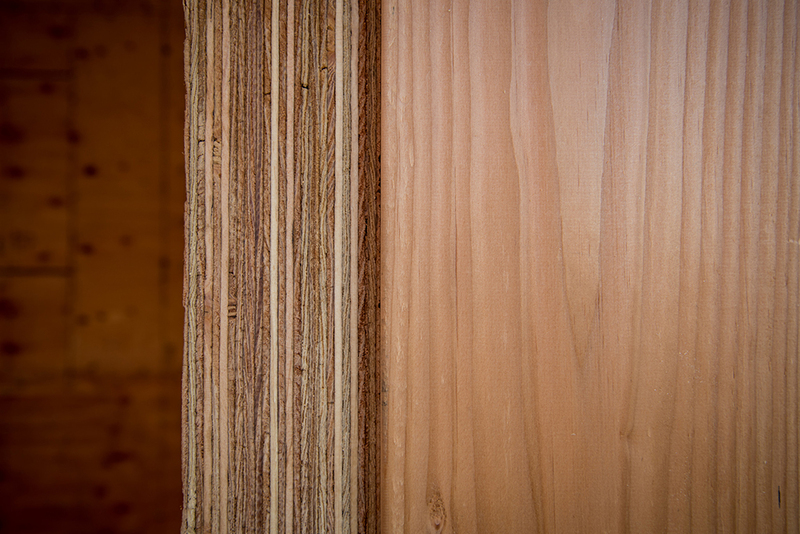 The Timber Traceability LEED pilot credit is designed to up efforts to eliminate the use of illegal wood in buildings. …Mahesh Ramanujam, president & CEO… “Forests play an incredibly important part of a healthy functioning planet and this pilot credit enables LEED, which typically rewards performance that demonstrates leadership, to catalyze market activity focused on curbing illegal activity in the buildings industry.” The development of the pilot credit was led by a team… including the Environmental Investigation Agency and World Wildlife Fund. Major wood products importing countries have adopted legislation… examples include the U.S. Lacey Act and the European Union Timber Regulation. The Timber Trade Federation (TTF) and the Wood Protection Association (WPA) are joining forces under a strategic partnership agreement aimed at strengthening the UK market for treated wood. The agreement focuses both organisations on working together to tackle the “priority actions” that came out of an industry survey in 2017/18. These are: tackling a general failure of buyers to specify pre-treated wood correctly; improve user awareness about how to install and use pre-treated wood correctly; and build confidence in the performance of treated wood through independent verification of treatment quality. “This strategic agreement is based on a mutual desire of the TTF and WPA boards to work more closely on matters of common interest,” said TTF managing director Dave Hopkins. …Both organisations will continue to operate as independent trade associations. Arup has launched its Rethinking Timber Buildings report aimed at accelerating the construction industry’s response to reducing global emissions and achieving net zero carbon buildings by using sustainable materials. The report, which highlights the time and efficiency savings that can result from the use of mass timber as a sustainable and safe alternative to more commonly used materials, says that architects, developers, planners and corporate organisations should consider mass timber when designing low and mid-rise buildings. The move could form a vital step towards tackling some of the challenges that the construction industry faces when designing and building cities amid rapid levels of urbanisation and human population growth. The report highlights the key considerations in timber construction… Sustainable and zero-carbon… Faster and quieter… Reduced waste… Mass timber is also attractive… Fire safety. Located in Lyons, Oregon, Freres Lumber has been in business for nearly a century. After starting out producing standard lumber projects, the company moved into wood veneers some 60 years ago and in 1998 purchased a plywood plant. Now, its made another step: getting U.S. and Canadian patents on its mass plywood panel, the first veneer-based mass timber panel in the world, and fire approvals to build up to 18 stories high with the panel. …The mass plywood panel has already been put to the test on a smaller scale. …The company has also seen its product used in larger projects. Oregon State University’s new Peavy Hall, a forestry science center designed by Michael Green Architecture, featured Freres Lumber’s product on the roof, while the nearby A.A. “Red” Emmerson Advanced Wood Products Laboratory shows off the panels on its interior and exterior walls. A local councillor is paying tribute to a victim of the Ethiopian Airlines crash who he said had an influence on Squamish’s forestry sector. Peter deMarsh, of New Brunswick, died in the Boeing 737 Max crash in Ethiopia on March 10, along with the 156 others aboard the plane. Coun. Eric Andersen said that he knew deMarsh, who was a lifelong advocate of the Canadian forest sector and woodlot owners. “This guy’s achieved so much in organizing people from the grassroots through goodwill,” he said. Andersen said that deMarsh’s advocacy for small-time woodlot owners in New Brunswick served as a blueprint for many communities across Canada, including Squamish. “It has been an inspiration well beyond Eastern Canada,” said Andersen. 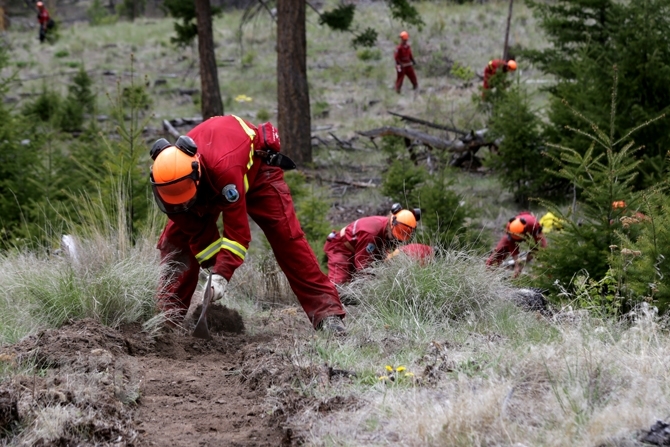 KAMLOOPS – Kamloops high school students have a chance to get wildfire firefighter training next month. The Kamloops Thompson School District and B.C. Wildfire Service are asking interested high school students to sign up for the new Junior Fire Crew workshop, according to a school district media release. The three-day workshop is a hands-on learning experience designed to give students an idea of what to expect if they want to join wildfire crews as a summer job. Though no actual fire will be involved in the workshop, other aspects like using firefighting gear and spending time outdoors will be covered, the district says. …“Working on a fire crew during the summer season is a viable way to pay for university,” vice principal Rob Weilgoz says in the release. The B.C. government has increased its base budget for wildfire response to more than $100 million, including new technology for responding quickly when fires start. The provincial government increased its base budget 58 per cent for this year, after two record fire seasons in a row and continued calls for increased prevention efforts in interface areas around communities. Preparations begin as a cold winter recedes, potentially creating dry spring conditions. The base budget is an arbitrary amount, with the actual spending in severe wildfire seasons going as high as $400 million. In the record fire seasons of 2017 and 2018, the total topped $600 million as crews and equipment were called in from as far away as Australia. This year’s base budget includes an additional $50 million community resiliency program to help local governments and Indigenous communities lower the wildfire risk around communities. Wildfire officials are gearing up for the fire season in the Okanagan. “We’re on alert for the entire province,” Forests Minister Doug Donaldson said during a press conference in Kamloops. “The behaviour of the fires these last two seasons has been much more aggressive than what we’ve seen before,” he added. Widespread flames in 2017 and 2018 prompted back-to-back provincial states of emergency for the first time in B.C.’s history. Now, there’s concern over this year’s relatively low snowpack in the Okanagan. …“For at least 50 years, the effort has been that fires are bad, we need to put them out because they damage resources as well as threaten communities,” said Mike Larock with the Association of B.C. Forest Professionals. However, Larock said this approach has caused forest fuels to increase and coupled with climate change, it’s led to ferocious fires that have in some places ripped through communities. KAMLOOPS, B.C. — British Columbia’s forests minister says the province is preparing for the wildfire season with some new strategies and people living near forested areas should also do their part by safeguarding property against potential blazes. Doug Donaldson says a $101-million budget, up from $64 million last year, will allow for a more comprehensive prescribed burning program and new technology including night vision goggles to help with early detection of fires will be piloted this summer. He says firefighters will also have more access to computers and iPads in the field and drones will assist with fire mapping and infrared scanning. Donaldson says a program established last September is expected to fund fuel management work on Crown and private land by helping local governments and First Nations lower wildfire risks. Can Ontario’s Endangered Wildlife Survive Doug Ford? Humanity has caused populations of mammals, birds, fish and reptiles to decline by 60 per cent since 1970. …Here in Ontario, Premier Doug Ford… is preparing to change the province’s Endangered Species Act, the legislation created to protect our most at-risk plants and animals. But Ford’s review doesn’t have a goal to reverse the startling drop in Ontario’s animal and plant species, or to better enforce the law. Instead, the review’s discussion paper describes the supposed inconvenience of the legislation itself, stating that “authorization processes can create significant administrative burdens and delays.” …Specific logging and other industrial projects have enjoyed sweeping exemptions from the ESA’s strict requirements since 2013. …Yet rather than close loopholes for big businesses, Ford looks to be preparing to further weaken the rules for industry. 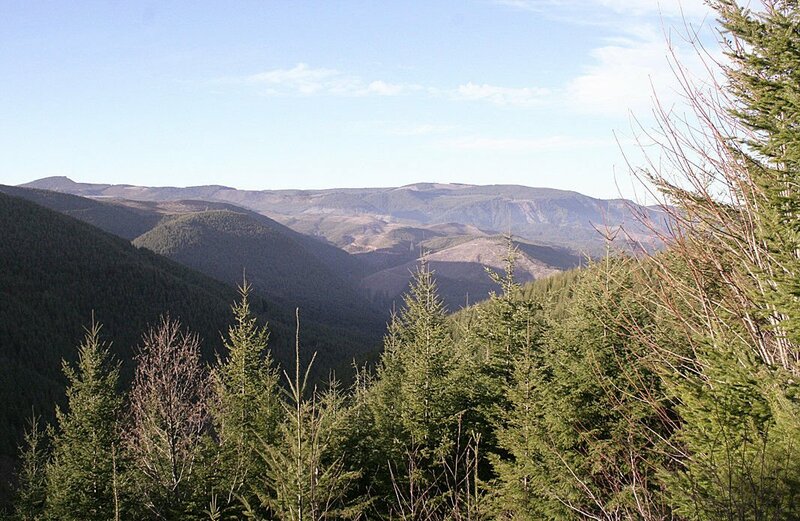 The Elliott State Forest was once a battleground for the spotted owl and other protected endangered species. More recently, it was public land put up for sale to a timber company. Now the 125-square-mile section of Oregon’s Coast Range appears destined to remain in public ownership as a research forest. Oregon State University and the Department of State Lands are in the beginning stages of developing a plan to turn the forest into a place for long-term, large-scale studies. The research would inform foresters on how best to manage Oregon’s coastal woods, said Anthony Davis, interim dean at OSU’s College of Forestry. Many details remain unresolved, including whether the university would own the land or only manage it for the state. Still, the Elliott could become one of the largest research forests, or “giant outdoor laboratory,” in the world, Davis noted. Two hunting conservation groups filed suit Tuesday challenging a logging and prescribed burning Forest Service project west of Helena. 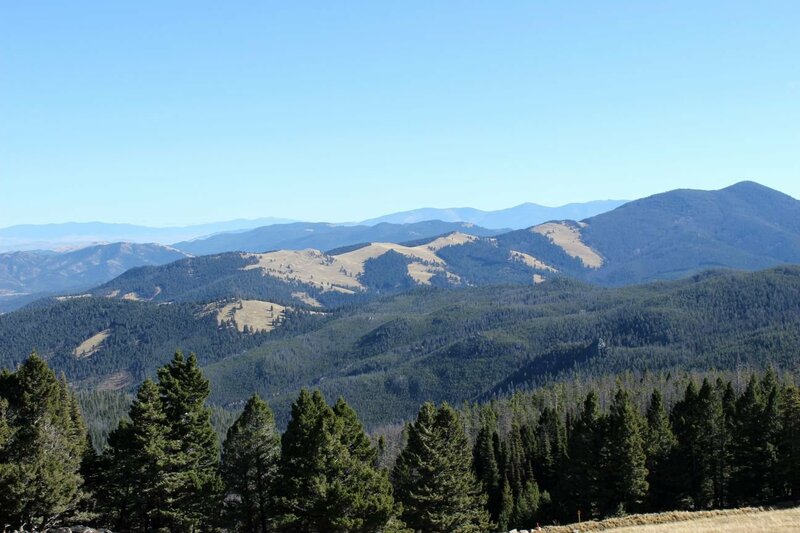 Helena Hunters and Anglers Association and the Montana Wildlife Federation brought the federal lawsuit over portions of the Ten Mile-South Helena Project approved by the Forest Service last year. The project calls for thinning, logging and burning on more than 17,500 acres within a 60,000-acre project area west of Helena that supplies one of two sources of water for the city. Goals of the project include mitigating wildfire, improving firefighter safety and protecting city water infrastructure. The lawsuit focuses on two inventoried roadless areas within the project area and the impacts of logging on wildlife. The groups say they do not oppose proposed work outside of Lazyman Gulch and Jericho Mountain roadless areas. Environmentalists and logging companies have both failed in their legal attacks against the federal government’s plans for managing 2.5 million acres of Western Oregon forestland. U.S. District Judge Michael McShane has rejected allegations that the U.S. Bureau of Land Management’s “resource management plans” for six forest districts unlawfully relaxed environmental protections. He also dismissed arguments that the plans didn’t allow for sufficient logging. The plans issued by the agency in 2016 were meant to replace others that had been enacted more than two decades earlier, but multiple environmental groups filed a lawsuit arguing the action violated several federal laws governing the forestland. McShane has now agreed to dismiss the litigation filed by Pacific Rivers and eight other organizations at the recommendation of U.S. Magistrate Judge Jolie Russo, who said the plaintiffs didn’t successfully “refute or otherwise undermine” BLM’s “final environmental impact statement” for the new plans. The 2018 fire season was the costliest for the state thus far, totaling more than $533 million, according to the Northwest Interagency Coordination Center. The 2017 season had held the record previously with $447 million, but due to the longevity of the fires in 2018, the record was easily surpassed. In the Northwest, more than 1 million acres burned in the 2018 fire season, which continued through mid-November. More than 901,000 acres in Oregon, and 438,000 in Washington burned over the summer months, according to a summary from the U.S. Forest Service regarding the wildland fire season. According to the summary, the longer the fire season — and the more severe the season becomes — the more hours the fire personnel are exposed to. It said there were more than 7 million work hours within the Pacific Northwest and Alaska regions toward suppressing fire. A Labor party plan to save declining koala populations could cost $1billion and slash almost 2000 jobs, according to a new analysis. NSW Labor has committed to establish a Great Koala National Park on the mid-north coast… to protect one of the nation’s most famous marsupials. But according to Ernst and Young research, commissioned by the Australian Forest Products Association, the koala site would kill the local logging industry… The analysis found the plan …would tally a loss of $757 million in output and another $292 million in ‘value add’. [And] …see 1871 jobs in NSW slashed, according to the research based on a site at Coffs Harbor which was proposed by conservationists. 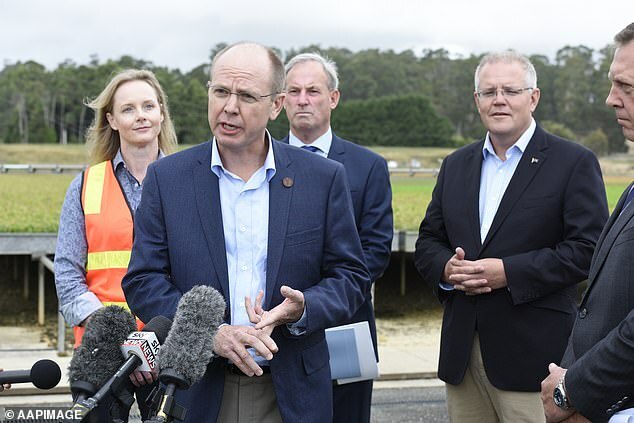 …Ross Hampton, CEO of Australian Forest Products Association, said Labor’s plan … would cost a future Labor government hundreds of millions of dollars in support for the thousands of blue collar workers, who would lose their jobs and in broken legal contracts with sawmills,’ he said. BOOSTING forest productivity, technology, safety and skills, and reducing environmental impacts are at the heart of a new programme announced last week. Te Mahi Ngahere i te Ao Hurihuri — Forestry Work in the Modern Age is a new $29.3 million, seven-year collaboration between Forest Growers Research Ltd (FGR), a consortium of forest owners and forestry machinery manufacturers, and the Ministry for Primary Industries (MPI). It has its sights on developing a new in-forest harvesting and log-sorting system specific to New Zealand’s forests, using automation and robotics — a first for New Zealand. “Technology is increasingly important in improving safety, skills and productivity, and protecting the environment,” FGR chief executive Russell Dale said. “Our industry relies on people, but labour shortages and rising costs in harvesting forests and transporting logs are holding the industry back and reducing our ability to grow. Scotland‘s ancient pine forests are increasingly at risk from a disease which is thriving as the climate warms, an expert report has warned. Dothistroma Needle Blight (DNB) is now “endemic” across the country and represents a “significant threat” to Caledonian pinewoods, according to the UK’s independent Committee on Climate Change. Caused by a fungus, the disease affects the needles of infected trees. As it progresses the needles eventually shed, weakening the trees and sometimes killing them. The report said there was evidence that a trend towards warmer springs in Scotland, coupled with more summer rainfall, was “optimising conditions” for the spread of DNB. It added that in recent years there had been a “rapid increase” in the potential exposure of Caledonian pinewoods, Scotland’s only native coniferous forests, to the disease. 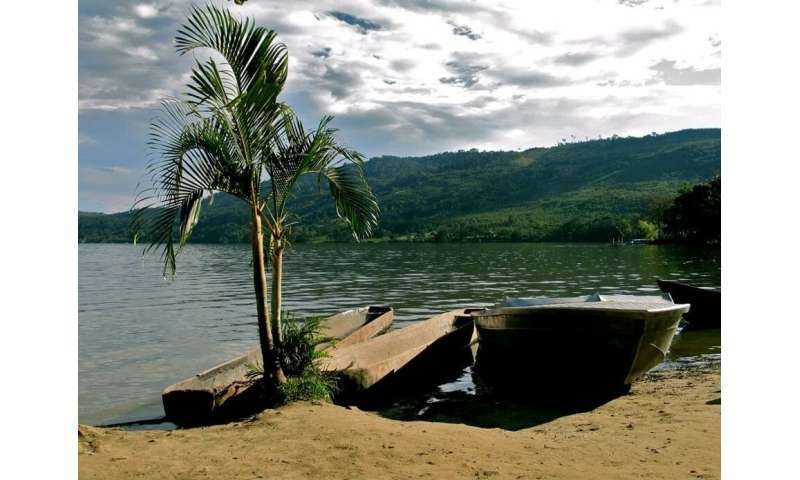 How do human disturbances and climate change affected tropical forests? An international research team, including ecologists from the University of Amsterdam, has looked into the 7000 year history of a tropical Amazonian forest. They reveal that human disturbance, more than climate change, affects the species composition of tropical forests over the last millennia. The results, including important implications for forest management, are now published in the scientific journal Ecology Letters. Humans and climate change affect the species composition and productivity of tropical forests, with consequences for the biodiversity and carbon storage potential of these forest. To understand how forest communities respond to environmental change and human disturbances, previous studies have looked into specific functional plant traits (e.g. wood density) in response to a changing environment. However, the main underlying causes of shifts in forest communities remain unclear because of the short temporal scales of most studies. Wood stoves are the largest contributor to air quality issues in Houston, according to the Ministry of Environment and Climate Change Strategy. …A Wood Stove Exchange Program introduced in Houston last year offered residents a rebate if they swapped their wood-burning stove for a more energy-efficient appliance, but the program had no usage, said Gerald Pinchbeck, Houston’s chief administrative officer. …The ministry said Canfor and its pellet plant, which is run in partnership with Pinnacle Renewable Energy, are “generally in compliance” with their permit, which sets out limits for emissions. …Michelle Ward, a spokesperson for Canfor, said their Houston mill passed both inspections conducted by the ministry in 2018 with no deficiencies. …When asked if the curtailment of mill operations is advised during air quality advisories, the ministry said not necessarily, as curtailment can sometimes lead to increased emissions.